Goal Zero wants to know where you’re headed next. Share your travel plans and you could score a free Sherpa 100AC — a powerful return on your Instagram investment. 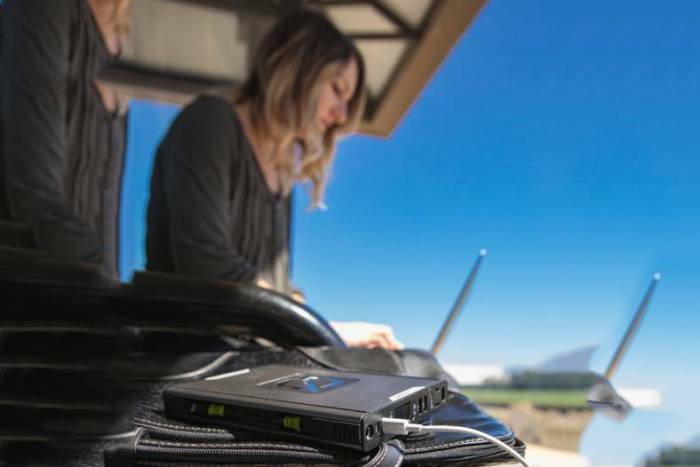 Now through September 17, one weekly winner will receive a Sherpa 100AC Power Bank by Goal Zero before the portable power pack goes on the market. It’s easy to enter the “Where to Next?” pre-launch photo contest. Just post your best travel shot and story on Instagram. Tag @GoalZero and include #wheretonext. No Instagram account? Submit your photo story on GoalZero.com. The latest Sherpa 100AC is the ultimate 100W on-the-go power outlet, whether you need to charge on a long plane ride or during your next van life excursion. At just 2 pounds, the Sherpa 100AC power bank won’t weigh you down. And its new features, listed below, make traveling with power more convenient than ever. Power: Powered by Li-ion NMC cells, with a capacity of 25,600 cmAh or 94.7 cWh. It will charge a smartphone eight times, a tablet four times, and a laptop twice. Charge: Recharge the pack by USB-C PD in 2.5 hours or on a wall charger in 3 hours. 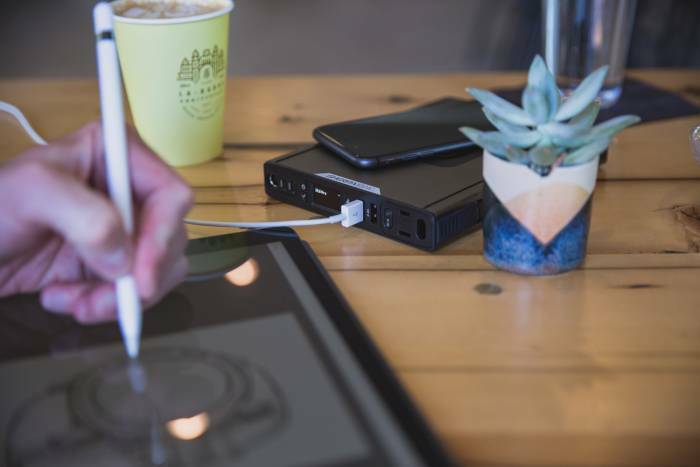 Ports: Two 60W USB-C high-power delivery ports at each provide an ideal power source for laptops, phones, and more. Wireless charging: Just rest it on top. The Sherpa’s QI wireless capability plus 2.4A USB charges any device on the fly. Rugged cables: All Sherpa power packs come with Lightning cables, micro-USB, USB-C, and USB-C to USB-C. The Goal Zero Sherpa 100AC will retail for $299. And this is your chance to be among the first to try the power pack for nada. Nothing to lose there. This post is sponsored by Goal Zero. For more info on the brand and the Where to Next? contest, click here. The post Power Packed: Goal Zero Giving Away a Sherpa 100AC Each Week appeared first on GearJunkie.